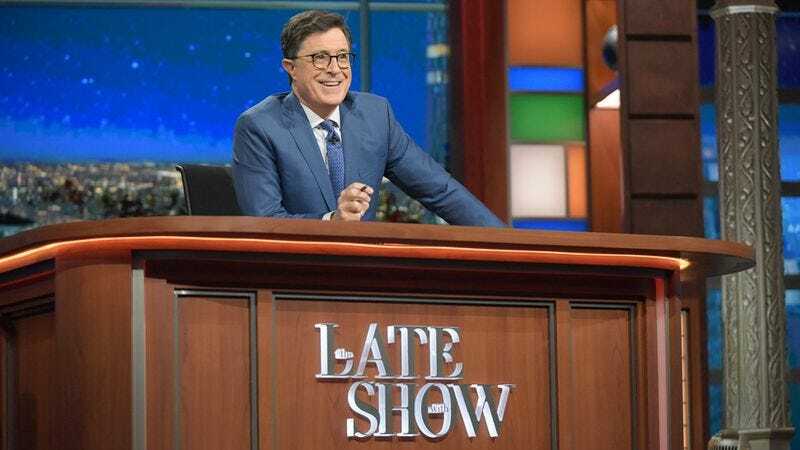 Tonight’s third presidential debate is bound to be a dramatic affair, and The Late Show With Stephen Colbert has a plan to make the proceedings even more cinematic: They’ve enlisted a string quartet to play along. You can watch the exclusive promo for their orchestrated event (pun intended) below. The Late Show will have PUBLIQuartet improvising along with the debate on Facebook Live. According to the group’s website, PUBLIQuartet’s “innovative programs span arrangements from the classical canon, contemporary works, original compositions, and open-form improvisations that expand the techniques and aesthetic of the traditional string quartet.” So, if nothing else, this project should elevate the affair to the realm of high art. That might be welcome, given that the Trump camp is apparently bringing “surprise guests” to the debate. The debate starts at 9 p.m. ET and is being moderated by Chris Wallace of Fox News. Colbert will air his show live following its conclusion. He is also hosting an election night special on Showtime.